Full circus resume coming soon! 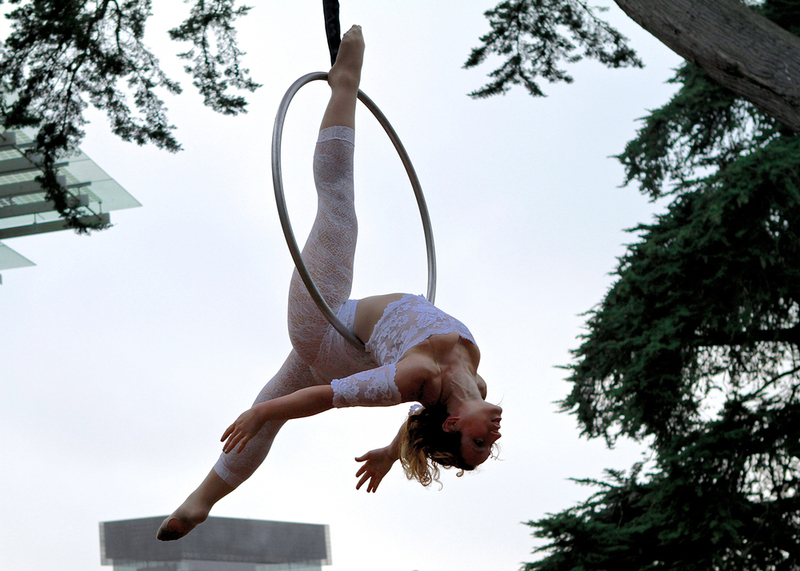 They say Lyra is, ‘Like if Batman were a ballerina.’ An aerial contortionist and mechanical engineer out of MIT, she attempts to maximize her time spent upside down and in the air by making large, climbable art and then performing on it. Her performance background is in multi-disciplinary dance, aerial acrobatics, contortion, handbalancing, and theatre.